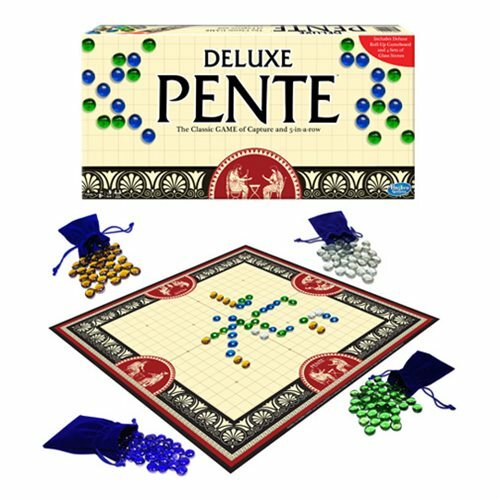 First introduced in the 1970s, Pente is a contemporary strategy game based upon several closely related games that have been popular in Asia for centuries - most notably the game of Go! The object is simple - the first player to place 5 stones in a row or to capture 5 pairs of opposing stones is the winner. 2-4 Players. Ages 8 and up.